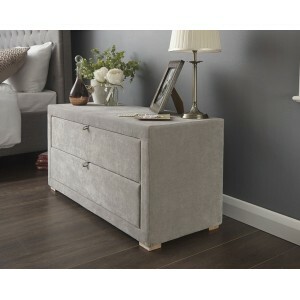 This minimalistic design Ottoman blanket box is designed to compliment most bedroom decor. The top is ideal as a seating area and the large storage space is ideal to store all of your blanket and bedsheets. All deliveries to England, Wales and selected areas in Scotland will be done via our third party courier delivery service, all other areas please contact us see our Terms & Conditions for more information.